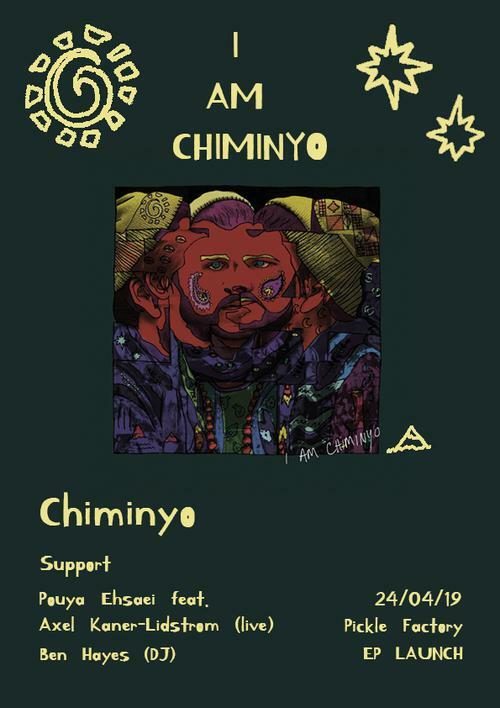 To celebrate the release of Chiminyo debut EP 'I Am Chiminyo', out on Gearbox Records on the 29th of March. The night will be opened with an improvised modular synth set by Pouya Ehsaei (Ariwo) featuring Axel Kaner-Lidstrom (Cykada, Where Pathways Meet) on trumpet to get those bodies thinking and minds moving. Chiminyo will then do his thing - Taking mankind’s first instrument for dance music, the drum, and linking it to the most contemporary, the laptop, Chiminyo is exploring what it is that makes us move. With each crash of the cymbal or thump of the kick drum a cascade of brilliant electronic sounds are triggered and generated by Chiminyo’s self-designed software. This innovative set up allows him to be in complete control, freeing him from all loops, click-tracks and backing tracks. Every synth, sample and sound effect is performed live and in real time. The result is a plethora of era-spanning dance-scapes featuring ethereal arpeggios, thumping acid bass lines and heavy beats. Throughout the night and to top it all off at then end we're gonna have the legendary Ben Hayes on the decks. It's gonna be a big night so make sure to buy tickets in advance!